Surrounded by the glistening waters of the Okavango Delta, Belmond Eagle Island Lodge is a water-based camp hidden amongst the lush Illala palm trees of Xaxaba Island, making it the ideal escape from the scorching African sun. A luxurious base from which to discover this unique and dramatic eco-system and its teeming wildlife, the Lodge pays tribute to Botswana’s natural beauty and the pioneering adventures of early explorers. The beautiful tents are perfect for enjoying the sights and sounds of the Okavango Delta wildlife whilst the romantic Fish Eagle Bar is a dreamy spot for gazing out over those stunning African sunsets. An oasis at the heart of the Kalahari, the Okavango Delta couldn’t be more inspiring. A haven for flora and fauna, spend your days exploring the seemingly endless network of channels, tributaries, lagoons and islands in Africa’s ultimate water-safari camp. A privileged position on a private island, Eagle Island Lodge boasts its own private airstrip and helipad, with flights running from Johannesburg and Cape Town via the bustling Botswanian town, Maun. 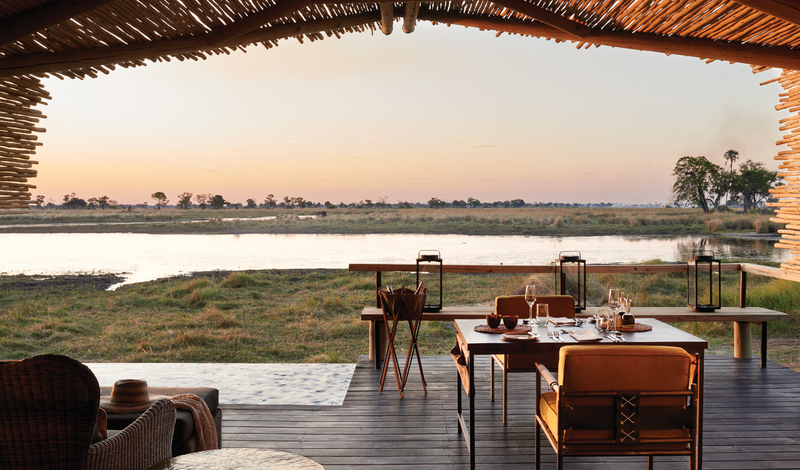 Built upon raised wooden platforms with panoramic views over the Okavango Delta, the gorgeous tents of Belmond Eagle Island Lodge are far from ordinary. Soak up the scenery as you relax out on your spacious private deck and take a dip in your private plunge pool, making the most of front row seats to the passing wildlife. 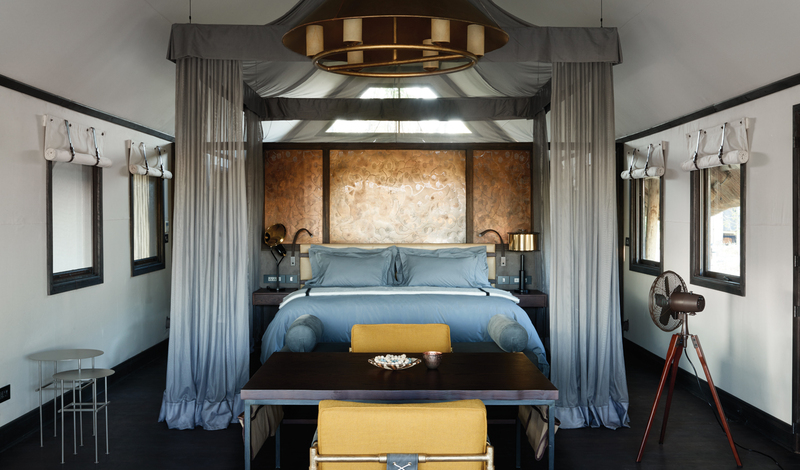 Inside, oversized beds with handmade copper headboards take centre stage, offering sensational views of the Delta to wake up to as the sunlight streams in. Discreet air conditioning will keep you cool during those warm African nights whilst luxurious ensuites offer everything you could need from outdoor showers to walk-in wardrobes. You certainly won’t be roughing it on this safari adventure. Belmond Eagle Island Lodge really takes the safari experience to a whole other level. Game drive? Done that. Walking safari? That too. Even a boat safari is old hat here. Revolutionising how we experience wildlife, embark on a sunrise helicopter safari, gaining a unique perspective of wildlife in their natural habitat, before touching down in a secluded spot for a cup of coffee and continuing on horseback, riding alongside buffalo, elephants and wild dogs. It is quite simply a remarkable experience. Making the most of its luscious delta location, Eagle Island Lodge also offers exclusive mokoro safaris, where traditional dug out canoes will take you into the reaches of the delta, not normally accessible by boat. It is heaven for wildlife lovers as giraffe and antelope come to drink and storks and fishing eagles soar overhead.